If you haven't ordered your 1978 re-imagined Mego catalog from the Mego Museum you need to get on it. I received mine today and it is so sweeet!If I didn't know it was fan made I would have thought Mego put this together. 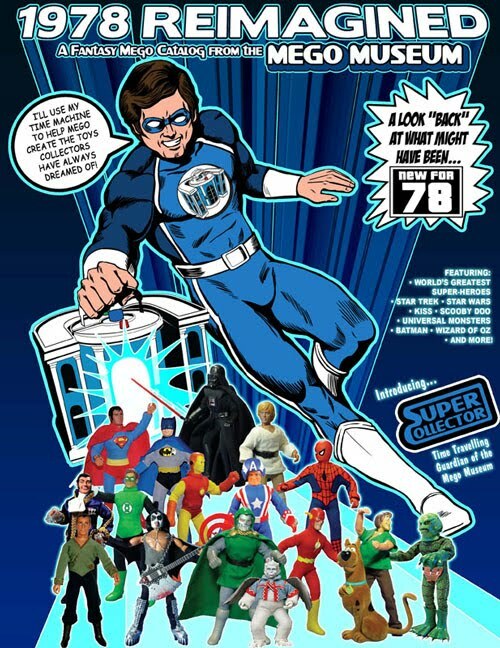 The Mego Museum gang did a fantastic job. It's cool to think of what Mego would have done if it accepted the offer for the licensing for Star Wars toys. Would Mego still be in business today if it had? It was also cool to see what other figures might have been released in the next wave of the World's Greatest Super Heroes line. Seeing figures like Green Lantern and the Flash or Superman arch enemies like Lex Luthor and Brainiac in the line up is too cool. Another cool concept was the action figures based the Batman TV series. Being able to get characters like Mr Freeze or King Tut would have been wild. If you still haven't bought your copy yet do it now. Click HERE and get it already. You won't be disappointed. For Mego toy collectibles check us out.